This recipe can be made in about a half an hour. To start, line your 13×9 baking dish with parchment paper. Measure out the oats, cereal and crushed pretzels. Mix them together in a bowl and set that aside for later. This way when your butter is melted, they are ready to go. In a medium sauce pot, heat the honey and butter on low heat until the butter just about melts. Remove the pan from the heat and whisk in the brown sugar, peanut butter and cocoa powder. Add in the cinnamon and flax seed. Combine the honey mixture with the dry ingredients and mix well until all the ingredients are coated. Press firmly into your baking dish and refrigerate for at least one hour. 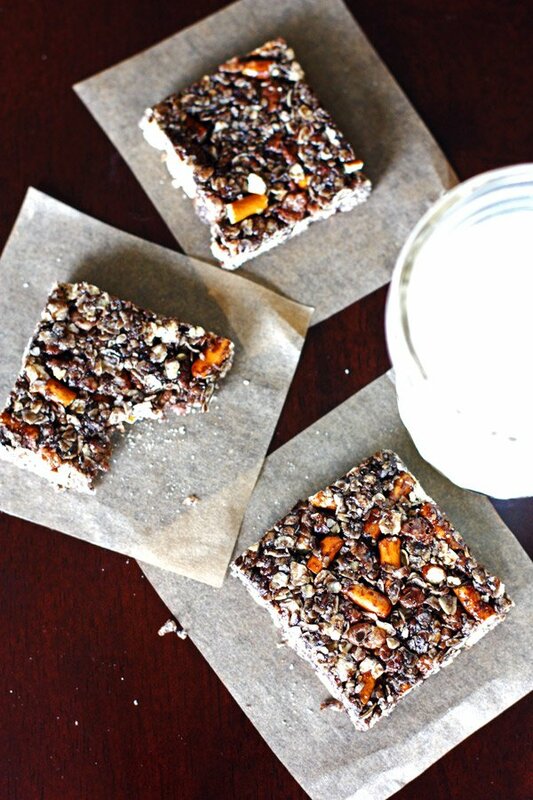 Slice into granola bars or squares and there you have it! 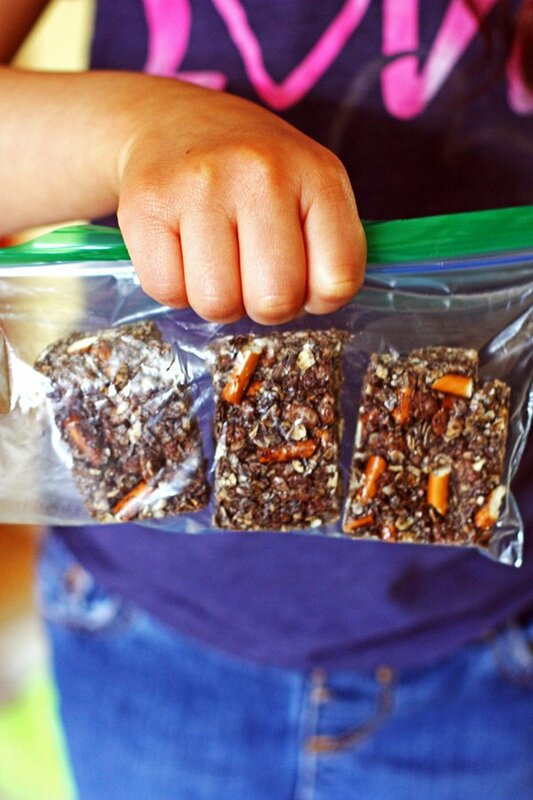 A nice homemade snack for your kids, yourself or whoever you choose to share with! Store them covered. These are also great to add to a school lunch or an easy take along snack! Line your 13x9 baking dish with parchment paper. Mix the oats, cereal and pretzel pieces in a bowl. Set that aside. In a medium saucepan, heat the honey and butter on low heat. Stir often until the butter has just melted. Remove from the heat. Whisk in the brown sugar, peanut butter and cocoa powder. Add in the cinnamon and flax seed. Combine the honey mixture with the dry ingredients and mix until everything is well coated. Press the mixture firmly into your prepared baking dish. Place in the refrigerator for at least one hour to set. 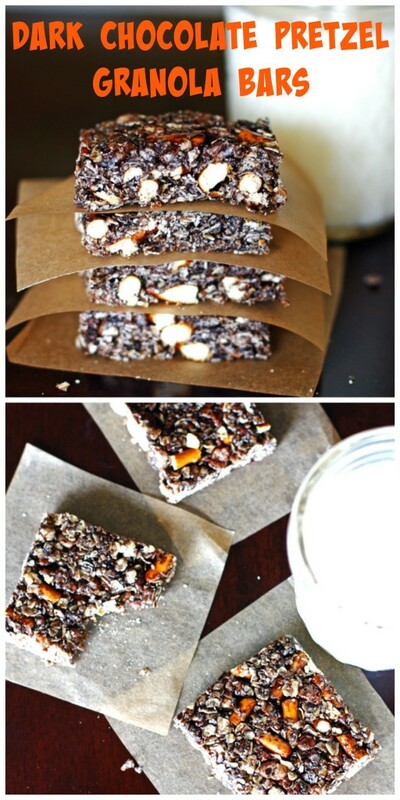 Slice into bars or squares. It's a good idea to have all the ingredients measured before melting the butter so that they are ready to mix in once the butter and honey are melted. I love this recipe. I find store bought granola bars have a strange taste. 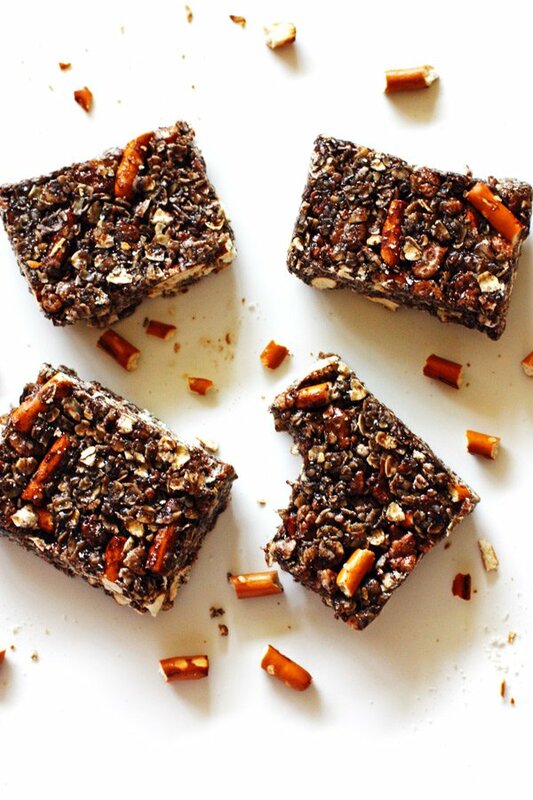 I would love your salty and sweet twist on a granola bar and it won’t have that “fake” taste. Thanks Christie. I really like to make them over buying them. Sometimes the list of ingredients on the box is a little too long and complex for me! They are so easy to make. What an inventive recipe. It sounds yummy! These look soooo good! They’d be so perfect for taking on a picnic or throwing in a lunchbox! These sounds so good and beautiful photos. I have to make my own granola bars more often. Adding these to the list to try! This is clean eating at it’s finest!! 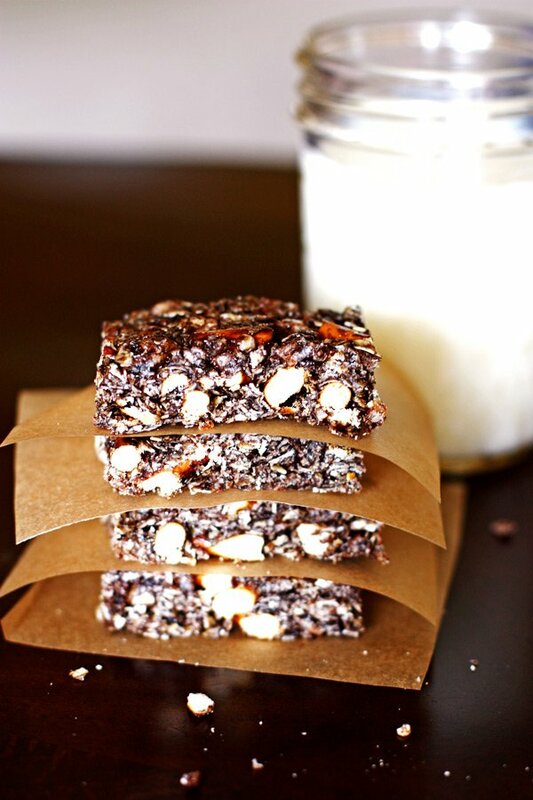 I love homemade granola bars. Once I made them, I could never go back!